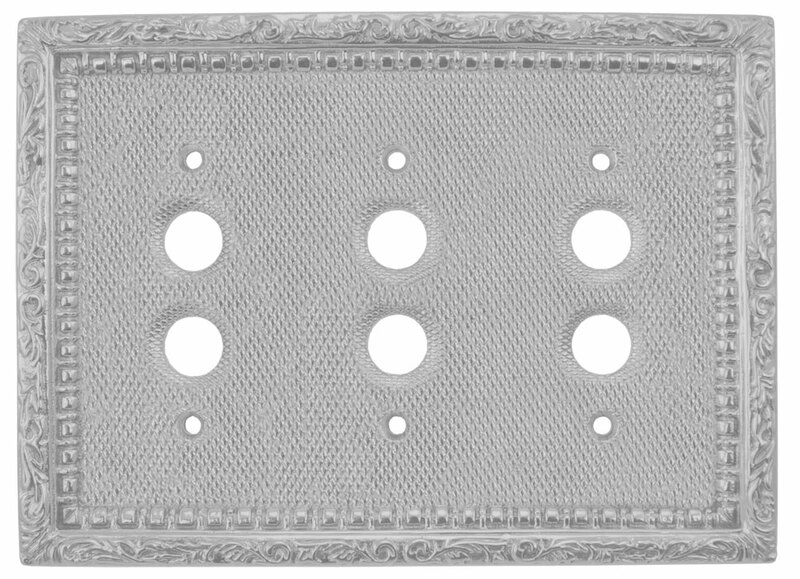 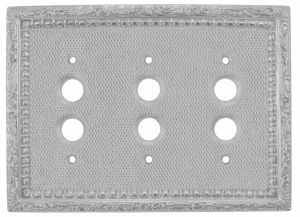 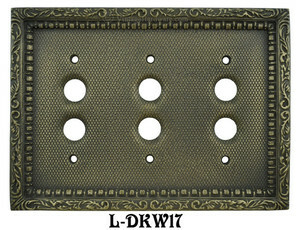 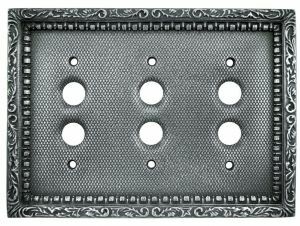 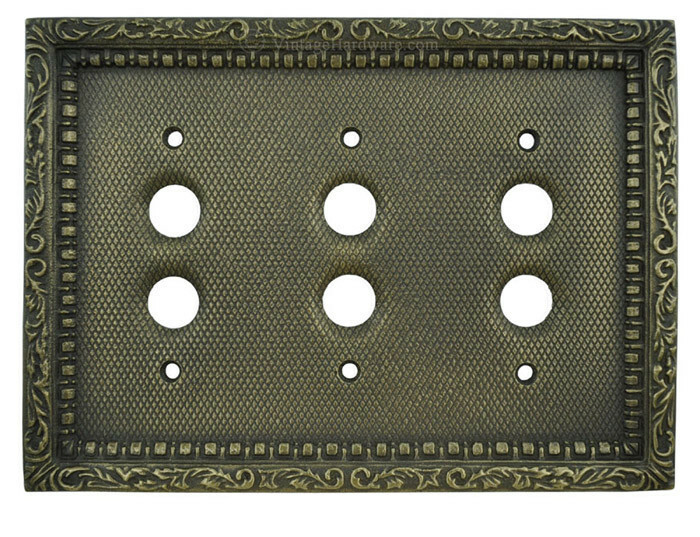 This switchplate cover has been precision-cast from metal and graphite molds. Competitors offer thin stampings and/or rough sand castings. 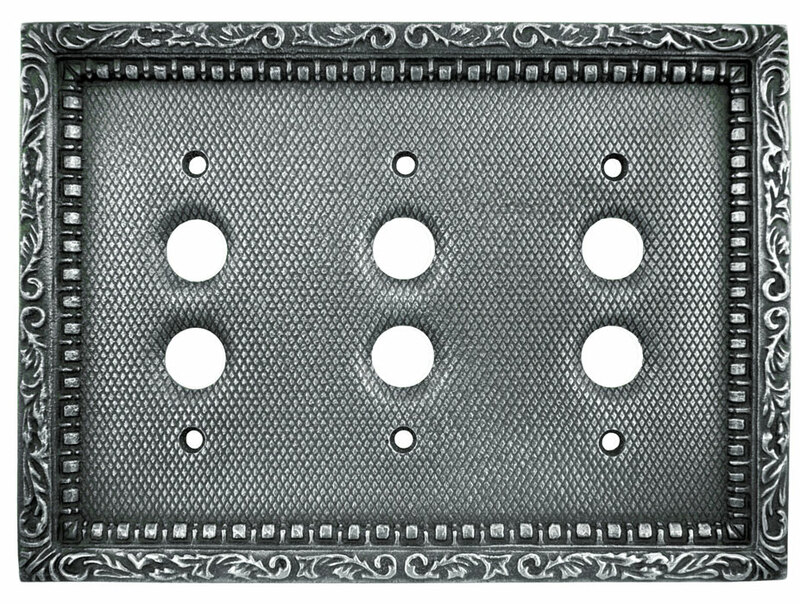 This design is so unique that we've copyrighted it. Each hole is 1/2" diameter. The distance between the two holes for each gang is 1" center-to-center. 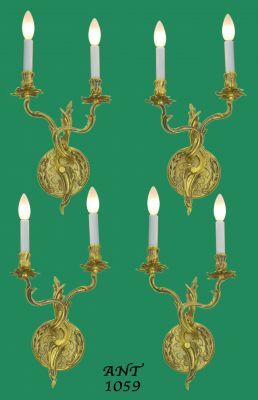 Available in polished, unlacquered brass, antique brass finish, or nickel plated.